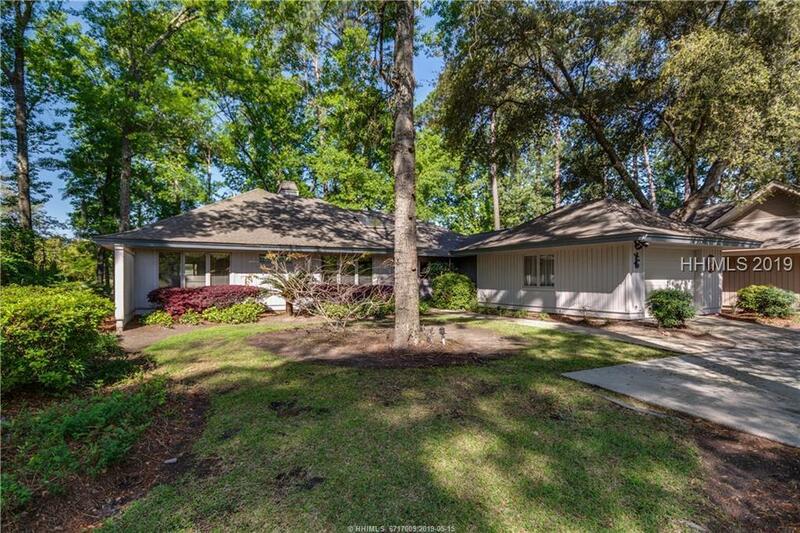 Excellent value on well maintained, triple fairway & lagoon view home just a short stroll from Hilton Head Plantationâs Dolphin Head Recreational Area & Pine Island Beach Park. Floor plan offers tray ceiling Great Room with built-ins & fireplace, vaulted ceiling Carolina room with wall of windows to view, DR, spacious kitchen with eat in casual dining, office nook, laundry room & powder room. Master BR features dual vanities, garden tub & separate shower + large walk-in closet & a cedar lined closet. Two ample guest BRâs with shared bath. All with high elevation, quiet end of cul-de-sac location.